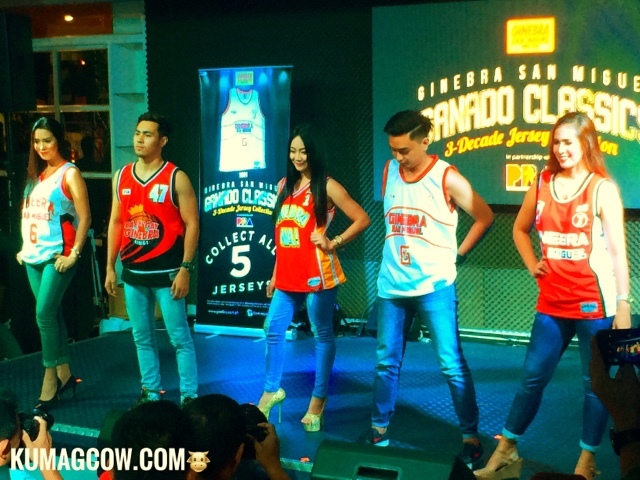 I just got off the PBA Cafe in Metrowalk Ortigas for the launch of Ginebra San Miguel Ganado Classics Jersey Collection Promo. 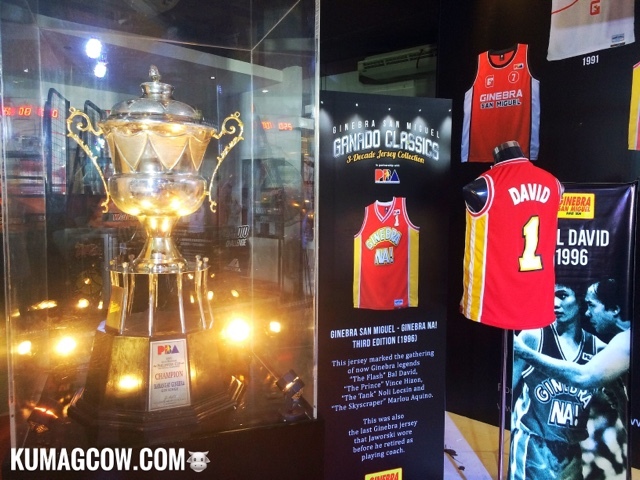 Who would have known (unless you're a die hard Ginebra fan of course) that this never say die brand has been in the country for over 30 years and is still living that spirit. 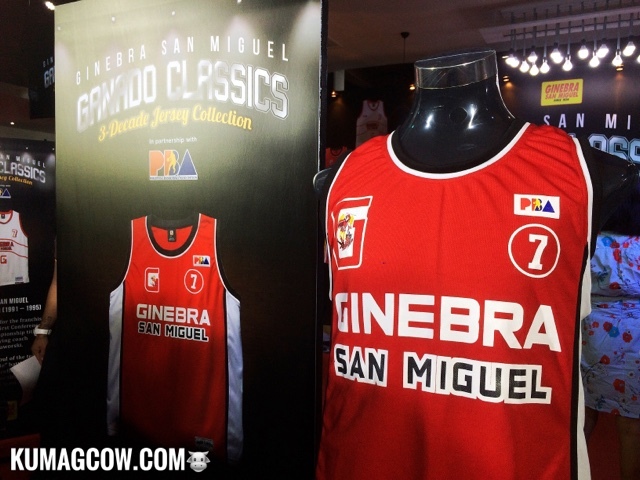 Now, fans have the chance to get their own jerseys that defined what GINEBRA is today. They did the arduous task of finding 5 significant moments and players in the past 30 years to let you be a part of history too. 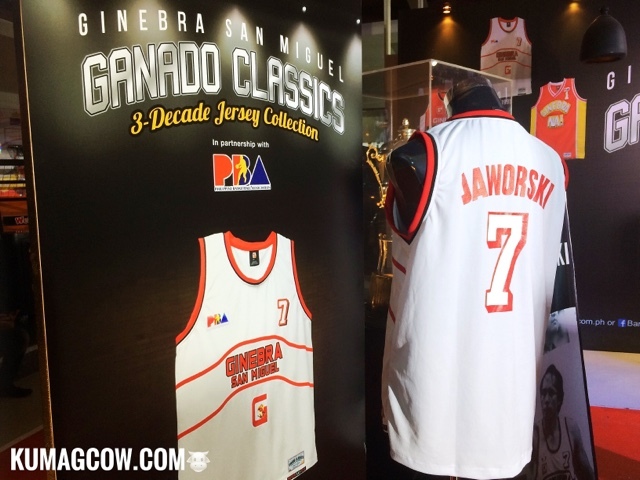 Imagine owning a JAWORSKI 7 First Edition NSD jersey, DAVID 1 for the Ginebra Na!, CAGUIOA 47 for Barangay Ginebra Gin Kings Edition, and recently the THOMPSON 6 Jersey of Barangay Ginebra San Miguel. 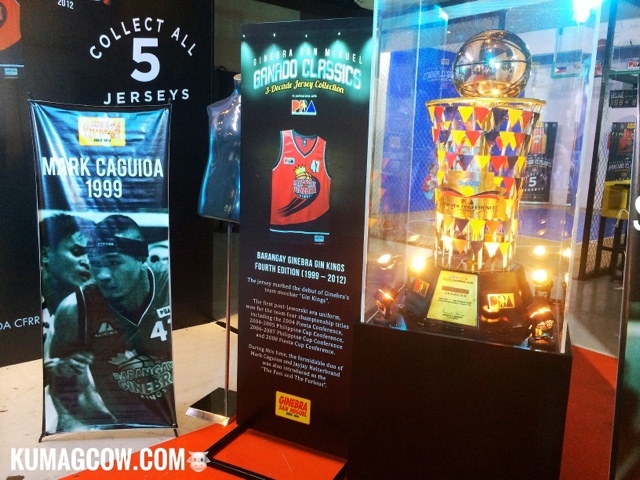 Take part in getting all these jerseys and be part of the moments where the Ginebra spirit lives. 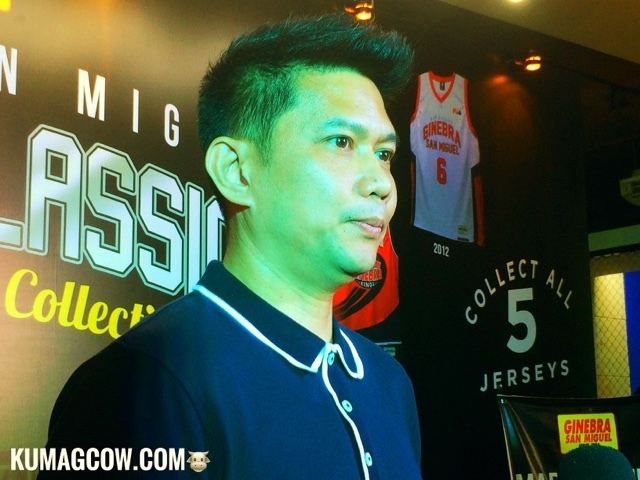 As Ginebra San Miguel Brand Manager Paulo Tupaz puts it, "Fans can now relive the Ginebra San Miguel Team's historic moments as these jerseys represent notable players from different Ginebra eras. 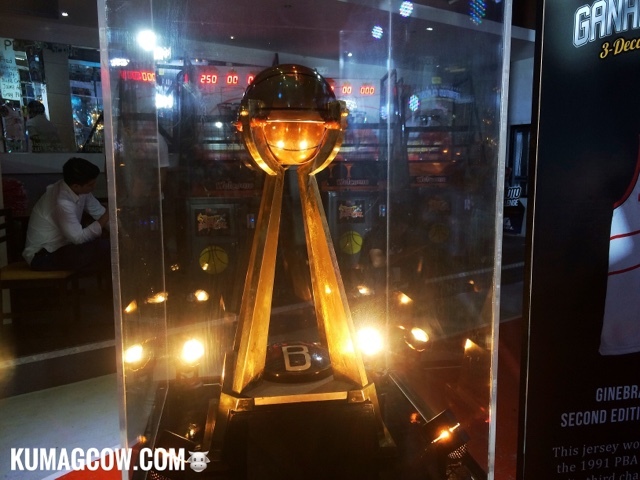 From the time Jaowrski started everything to the new generation gin kings, you'll truly feel you're part of the never say die legacy" and this is true. OMG it's Bal David in the flesh! If you want to get one just buy any GSMI Product and every 5 caps of Ginebra San Miguel, Vino Kulafu or 3 Caps of GSM Blue, GSM Blue Flavors and Primera Light Brandy entitles you to get these jerseys for only Php 100. 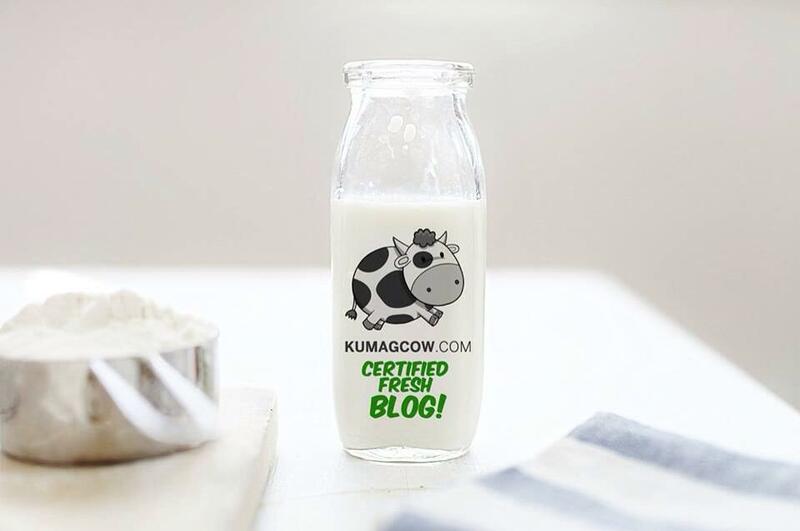 Isn't that awesome? I think they're almost giving it away for free in that price point. All these jerseys will feature two patches to make sure you're only getting the authentic one, so head on to your favorite supermarkets, convenience stores and outlets nationwide! 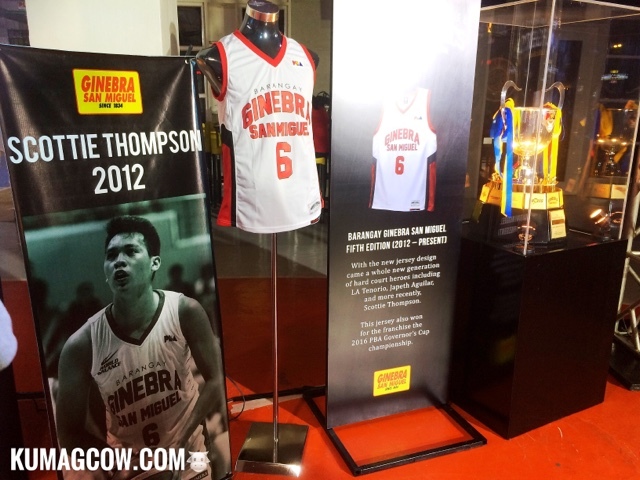 Head on to Facebook.com/barangayginebra www.ginebra.com.ph to know more about it. You can also call them at 6322564. In the meantime, I'll be playing these games with the Ginebra players first! Wish me luck hahaha!